Description: Resemble P. piraticus, a species it has been confused with in the past. However, P. tenuitarsus lacks the thin white lines at sides of cardiac mark which also is less distinct. The white paired spots and light bands a sides of abdomen are well-developed compared to those of P. piraticus. Legs greenish-brown without annulations. Size: Female 5-8 mm; male 4-6 mm. Genus: Pirata Sundevall, 1833. (Pirate wolf spiders). 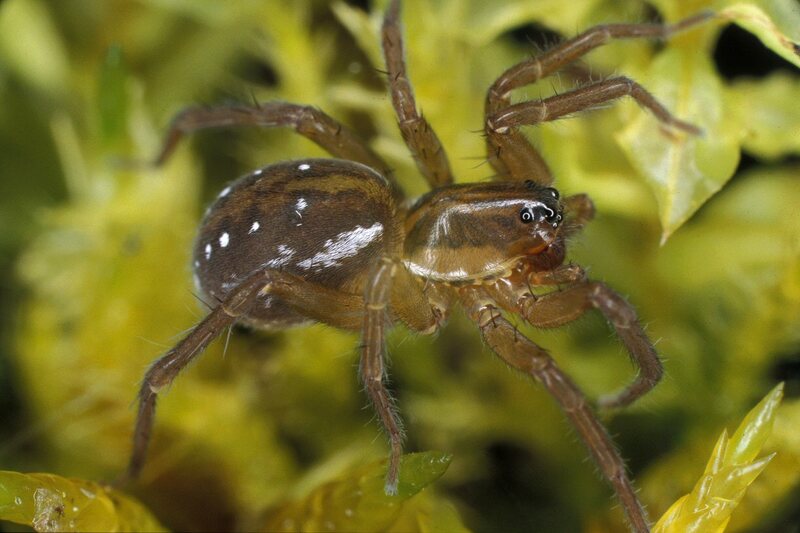 Characters of genus: Small to medium-sized spiders with light median band on the carapace enclosing a dark tune fork-shaped marking. This marking is very characteristic for lighter coloured species, but may be difficult to distinguish at darker species. The cardiac mark is usually lighter than the ground colour of the abdomen. Most species have the cardiac mark followed by paired bluish-white or white dots which usually are very striking. Some species also have light bands at the sides of the abdomen. The species construct vertical tubes in peat moss which are used as retreats, however much time is also spent running about. They are capable of running on water surfaces where they catch prey both above and under the surface. 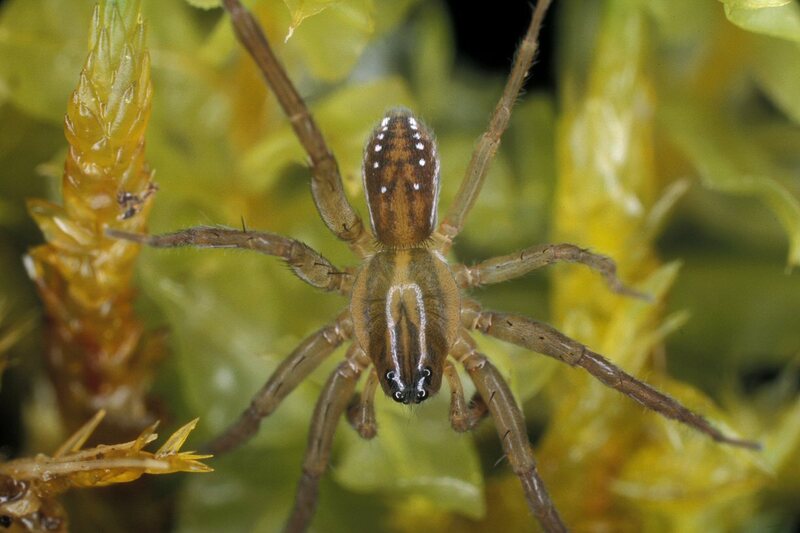 Some species, in particular P. piscatorius, resemble species of the Dolomedes (Pisauridae), which occur in similar habitats.